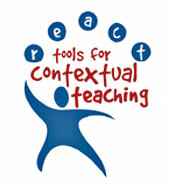 CORD Communications / What Is Contextual Teaching? What is the best way to teach so that all students can use and retain information? How can a teacher communicate effectively with students who wonder about the relevance of what they study? These are the challenges teachers face every day—the challenges that a curriculum and an instructional approach based on contextual learning can help them successfully address. Many students have a difficult time understanding academic concepts (such as math concepts) as they are commonly taught (that is, using an abstract, lecture method), but they desperately need to understand the concepts as they relate to the workplace and to the larger society in which they will live and work. Traditionally, students have been expected to make these connections on their own, outside the classroom. However, growing numbers of teachers today are discovering that most students' interest and achievement in math, science, and language improve dramatically when they are helped to make connections between new knowledge and experiences they have had, or with other knowledge they have already mastered. Students' engagement in their schoolwork increases significantly when they are taught why they are learning the concepts and how those concepts can be used in real-world contexts. Contextualized learning is a proven concept that incorporates the most recent research in cognitive science. It is also a reaction to the essentially behaviorist theories that have dominated American education for many decades. The contextual approach recognizes that learning is a complex and multifaceted process that goes far beyond drill-oriented, stimulus-and-response methodologies. According to contextual learning theory, learning occurs only when students process new information or knowledge in such a way that it makes sense to them in their own frames of reference (their own inner worlds of memory, experience, and response). The mind naturally seeks meaning in context by searching for relationships that make sense and appear useful. Building upon this understanding, contextual learning theory focuses on the multiple aspects of any learning environment, whether a classroom, a laboratory, a computer lab, or a worksite. It encourages educators to choose and/or design learning environments that incorporate many different forms of experience in working toward the desired learning outcomes. In such an environment, students discover meaningful relationships between abstract ideas and practical applications in the context of the real world; concepts are internalized through the process of discovering, reinforcing, and relating.